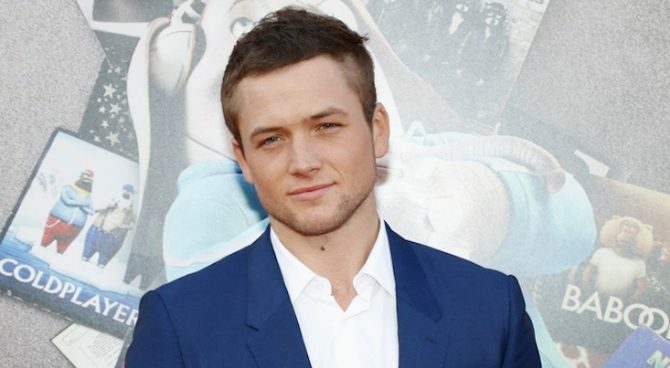 That’s the route Taron Egerton took to celebrate the solar return of Elton John, and we aren’t complaining. Egerton, who plays John in the much-anticipated upcoming biopic Rocketman, took to Instagram to offer his well-wishes for the singer’s 72nd birthday. He did so in booty shorts; it’s important to know your audience. Elton John is one of the most extraordinary people I’ve ever met, too! That isn’t revealing It is just a copy of one of Sir Elton’s stage costumes. “Just about” the most extraordinary person he’s ever met?! I wonder who gets top billing? LOL. Did you see the video of Taron singing “Tiny Dancer” while Elton played piano at the Elton John Foundation event last month? The guy still looked absolutely starstruck — and who wouldn’t? OMG those legs!!!! Yes!!! Love me a man with some thick legs and thighs like that. Yeah, I’m totally a leg man myself, and this guy has some beautiful legs!! you call that revealing? there are more revealing photos in abercrombie & fitch store windows. My mom’s best friend used to design jewelry for Elton John for many years and said he was a very nice man. My mom died and a year later her best friend committed suicide. I’d love to meet Elton someday and thank him for being so nice to my mom’s friend. I’m currently dating Taron. I think he is super cute. If I ever meet him I’ll let him know we’re an item. Dreamy man.